Christopher Booker thinks NOAA is distorting global land temperature data to inflate reported global warming, and fan the flames of climate alarmism, and he's written a couple of articles about it. Dr. Kevin Cowtan contends Booker is wrong, and he created a YouTube video about it. Dr. Cowtan trusts that NOAA's adjustments are justified and correct, and he also says they are too minor to be questionable. “Why would they do that?” he asks at the end of his video, meaning why would anyone commit fraud for an inconsequential difference in the result? 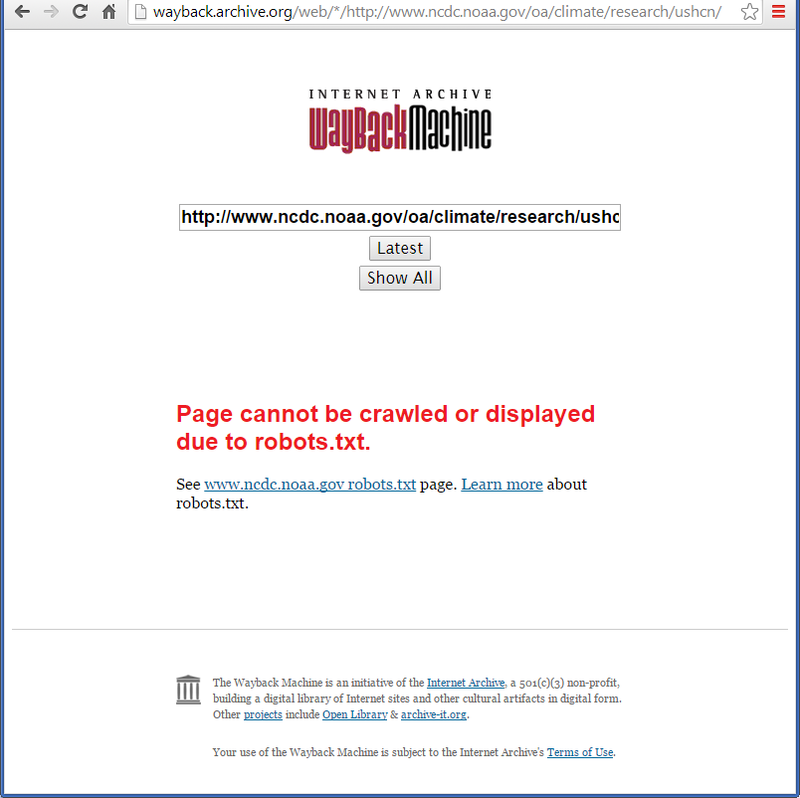 I don't know with certainty whether or not NOAA's adjustments are all justified and correct, but I found Dr. Cowtan's argument unpersuasive, for two reasons. The first reason is that he's assuming that fraudulent intent is the only possible explanation for biased results, but it isn't. If the results are biased to exaggerate warming, it could also be due to confirmation bias or other error, even by people with the best of intentions. However, Dr. Cowtan's argument also depends on the adjustments being inconsequential, and they are not. 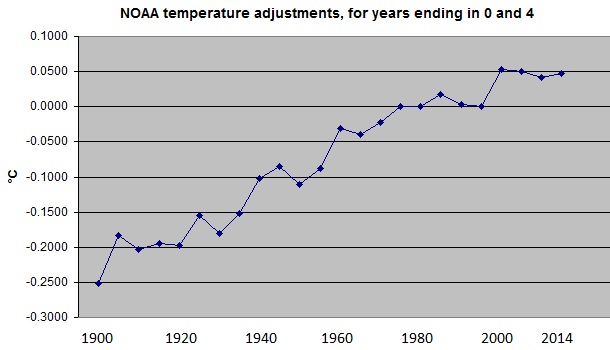 I digitized the endpoints of one of Dr. Cowtan's graphs using WebPlotDigitizer and found that his own analysis proves NOAA's adjustments are far from inconsequential. By comparing the adjusted and unadjusted versions of Dr. Cowtan's graphs of globally averaged land surface temperatures, I found that NOAA's adjustments increased the reported warming by 35%. Dr. Cowtan briefly had the pre-release GHCN graphing and analysis tool which he used in the video on-line at http://www.ysbl.york.ac.uk/~cowtan/applets/demo/demo9.html, but he took that page down before I got a chance to try to download any data from it. There's a discussion of all this on the SkS blog, here.